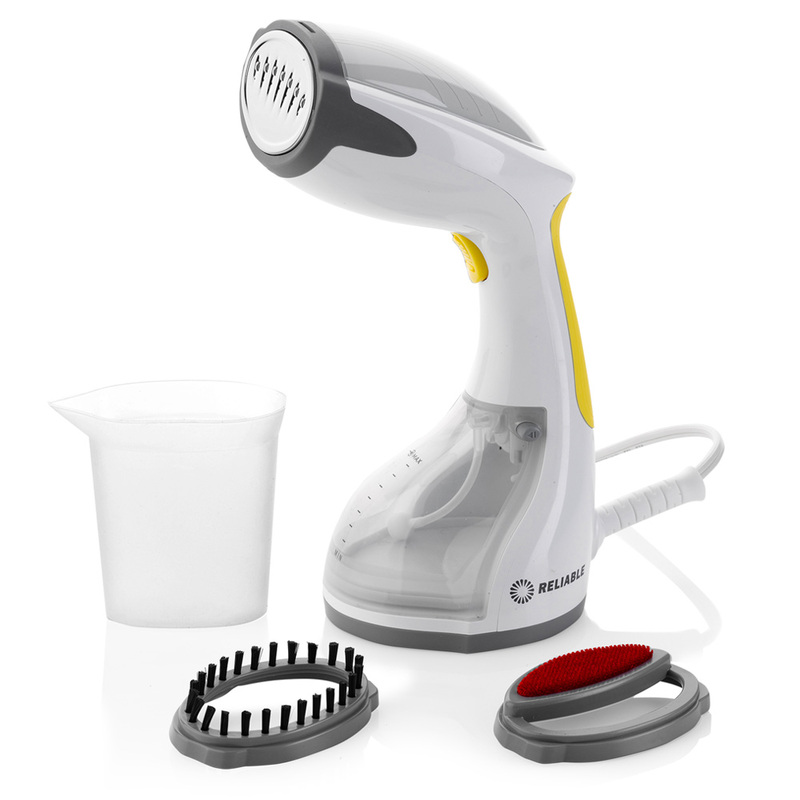 The Dash Handheld Garment Steamer is a powerful lightweight garment steamer with a stainless steel soleplate for pressing touch ups. Locking mechanism provides generous volumes of continuous dry steam in just 30 seconds. Steam is delivered with a pump system to penetrate fabric safely and effectively. Can be refilled while in use for limited downtime. Just add water! Features auto shut off with an 8 foot electrical cord.